Click any of the blue search types below to search. Kanshudo lets you search for kanji, words, names, example sentences and grammar using both Japanese and English. You can also search for kanji using components and mnemonics. Quick Search is the best place to start searching Kanshudo, and can be reached from the Search menu, or by clicking on the the search icon in the navigation menu. 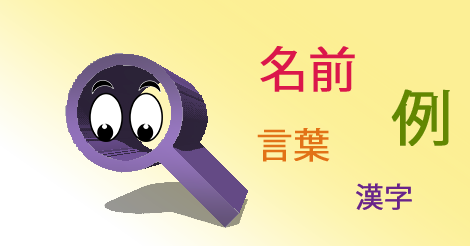 Quick Search enables you to look for kanji, words, names, example sentences, grammar points as well as pages or features on Kanshudo in a single place. Enter a phrase containing kanji, a reading in hiragana, or an English meaning. Kanshudo will search for kanji contained in your search, or with matching readings or meanings. Kanshudo will display each kanji together with its mnemonic, readings, meanings, and associated information. Each component part of the kanji will be displayed below in 'cascading kanji' format. Click on any kanji for more details, and to instantly create a flashcard. Click the star next to the kanji to add it to your Favorites. Enter a Japanese or English word (or words) in whatever form you encounter it. Kanshudo will try several different searches, including exact matches (as displayed in Kanji search above), words beginning with your search, and words contained within your search. Kanshudo will also determine if the word is a conjugated form of a word, and will display matches in their dictionary forms. Enter Japanese or English to search for matching Japanese names. Kanshudo includes about 600,000 names, together with frequency rankings for the 10,000 most common Japanese surnames, and the 2000 most common male and female given names. Most common readings of each name are displayed first where data is available. You can also browse the Grammar index, the Points of Interest index, or see a summary of recently-added articles. Enter Japanese or English words to find example sentences that contain them. Separate words with spaces to find sentences that contain all the words in any order. Enter an English word, and all kanji which use that word in their mnemonic will be displayed. You can search for all kanji which include a specific radical or other component using the component builder, the button labeled '部 Components' on the left of the search bar in Kanji search. Click here to go directly to the component builder. Search for kanji which refer to the specified kanji (ie, include it in their 'see also' section). 'See also' kanji are often included because they are similar or easily confused. If you are logged in to Kanshudo, each search you perform is stored in your history, and you can access it and repeat the search. You can use this as a simple way to make flashcards for memorization.